There are a couple of types of listing agreements to list your home for sale, Exclusive Agency Listing and Exclusive Right to Sell Listing. Although the contracts are pretty similar there are about two lines in the contacts that greatly make them different. Regardless of the contract you choose to use you want to make sure that your agent and agency is working hard for you. When you list your home with an agent you’re assured to get better exposure, less days on market and peace of mind regarding liability. Do you have a buyer in mind? Are you wanting to market the home yourself? Are you proficient in real estate paperwork? If you answered Yes to ALL of these questions then an Exclusive Agency Listing may just be the perfect listing agreement for you to sign with your agent. An Exclusive Agency Listing Can Save You Thousands! The Exclusive Agency Listing Agreement is an agreement between the seller and real estate broker that allows the real estate broker to list and market the home for sale. When you list your home for sale with a real estate agency you get the benefits of mass marketing and exposure as well as the knowledge from the agent to properly price your home for sale. 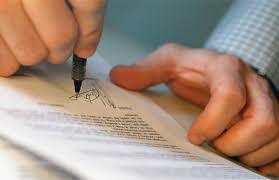 Signing an Exclusive Agency Listing Agreement means that you as the seller agree to pay a commission to the listing agent regardless whether the agency that you sign the agreement with sells the property. If any real estate agency sells the home then you will owe the commission. On the other side of the coin, since you answered YES to ALL the questions above you might be able to save yourself some money. For instance let’s say you’re at a party and you hear someone looking to buy a home, if that person ends up purchasing the home through your own efforts and none of the efforts of any other agency then you just saved yourself paying a commission. Basically on an Exclusive Agency Contract if any real estate brokerage sells your home then you owe the commission but if you sell the home yourself you don’t owe any commission. Now the disclaimer… If you aren’t 100% sure of what you’re doing then this might not be the right way for you to go. Real estate contracts and negotiations can sometimes get tricky and when emotions are high it’s proven to make deals fall apart. Regardless of what contract you choose to sign the best plan of action might be just to let your agent do the work for you, after all you trusted them enough to hire them so let them close your deal for you. After all commissions may be a small price to pay if it keeps your paperwork clean and you out of court. For more information on an Exclusive Agency Listing or if you’re interested in selling your home, please contact us or leave a comment below. We’d appreciate the opportunity to assist you!